Archaeological artifacts discovered at a proposed swimming beach, among other issues, threaten the proposed summer 2013 opening of Lake Nighthorse. Residents eager to take a dip in the countys newest lake will be disappointed to learn that the target opening date in summer 2013 could be pushed back. Thats what Cathy Metz, director of parks and recreation in Durango, told members of the Animas-La Plata Water Conservancy District board this week about Lake Nighthorse. The sparkling body of water, which has 1,500 surface acres when the reservoir is full, is off limits until a recreation manager is on the job. But there have been incidents of trespassing. The reservoir southwest of town is going to be used, ready or not, board member Tom Brossia said. Metz acknowledged the attraction of the reservoir. But she said the city first must negotiate a lease for the 5,500-acre site with the Bureau of Reclamation, which owns the land and built the reservoir. Among other issues are the possible transfer of law-enforcement jurisdiction from the La Plata County Sheriffs Office to the Durango Police Department and to expand the citys urbanizing boundary, the first step to annexation. City planning commissioners are scheduled to take up the latter matter on Nov. 26. In answer to questions from board members, Metz said the city is beginning to review how regulations concerning smoking, use of alcohol and weed control would apply at the lake. Metz said later that it was discovered that the proposed swim beach is near archaeological sites. The beach could be eliminated, moved or the archeological artifacts could be processed as was done at other sites before dam construction began. 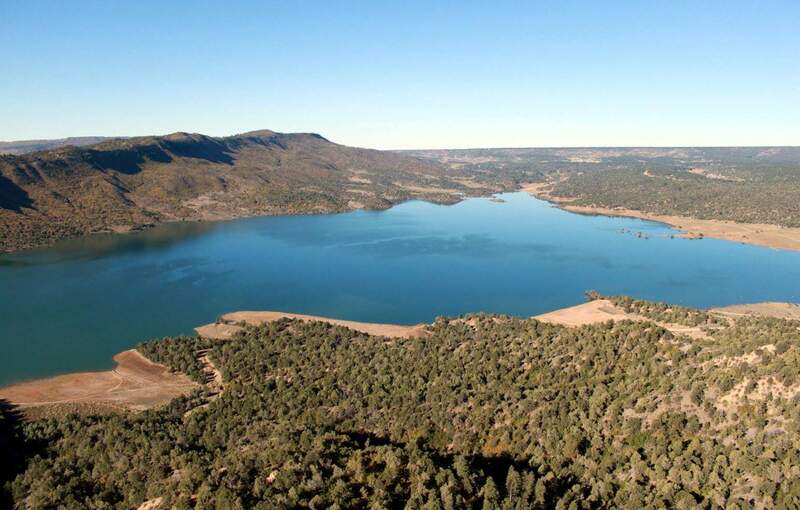 Animas-La Plata Water Conservancy District board members almost 3½ years ago pledged $25,000 toward hiring a consultant to produce a recreation master plan for Lake Nighthorse, which was declared full. It was enough of a catalyst to attract other funding sources for the effort. State Parks had begged off, saying it had higher priorities and was short of money. After decades of negotiations, the Bureau of Reclamation built the reservoir, which has a capacity of 123,000 acre-feet, to settle Native American water claims. Nontribal entities in Colorado and New Mexico will share the water. An acre-foot covers a football field to the depth of 1 foot.